I have vivid memories of these palms going back over 50 years. Our bus drove past them every day, for all my 6 grades at Barranca School. 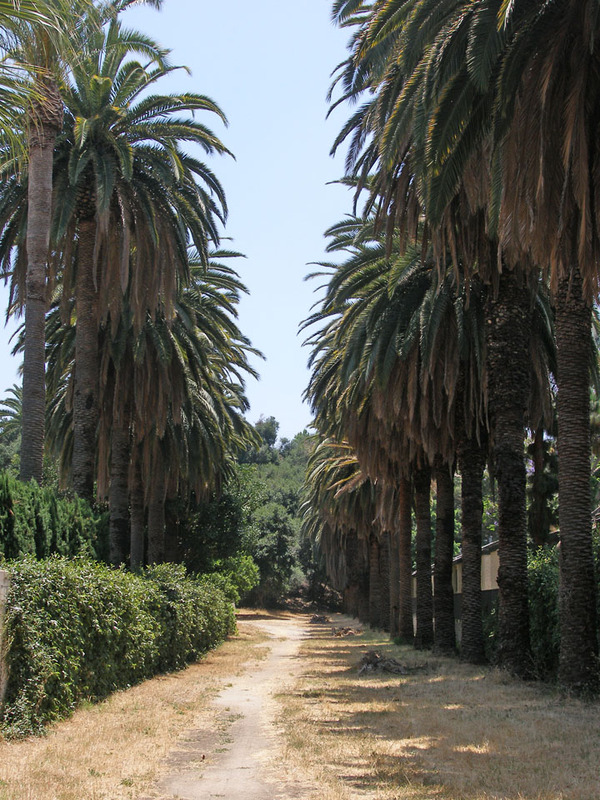 Even as a little kid, I could tell that long line of tall palm trees by Covina Hills Road had been there for ages – a lot longer than I'd been alive, that's for sure. All my life I'd been curious about them, but I strictly avoided that road when I was younger...and for good reason. For probably decades before I became aware of it, Oak Canyon Road had a rather notorious local reputation. Generations of "bad" teenagers took advantage of the secluded byway to drink and make out. The L.A. County Sheriffs patrolled that road constantly, and it was mostly known in my day as a really good place to go if you wanted to get busted. The delinquency problem was solved once and for all, though, when Oak Canyon Road was finally closed to all vehicle traffic in the late 1970s. The cars and juvies went away, but the palms endured as always; at least some of them did. The trees used to extend in a uniform line all the way from the base of the Walnut Creek bluff to the intersection with Covina Hills Road. Today, however, only the southern half of the palms live on. This is my favorite picture from my visit last year to this quiet refugium. It was so amazing to finally walk among these palms and contemplate just how ancient they are. They were most likely planted soon after the road was first graded circa 1895. That means they are at least 115 years old now. If you think about it, that's older than almost every man-made structure in the entire San Gabriel Valley. 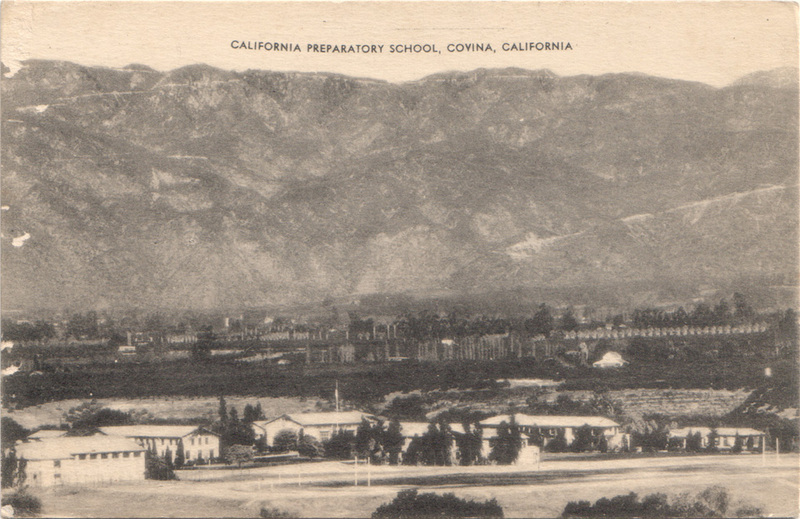 In 1925-6, the California Preparatory School for Boys (shown below c.1938) was built on the 100-acre H.M. Houser ranch on former Hollenbeck lands southeast of Covina. 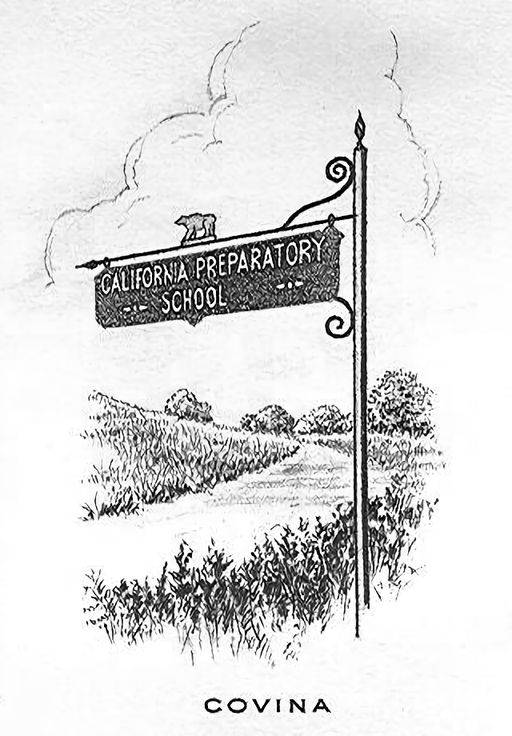 The initially successful prep school soon became a victim of the Great Depression, however, and it limped along until the property was purchased in 1942 by the Theosophical Society Point Loma. The south-to-north view below shows the campus during the war years. 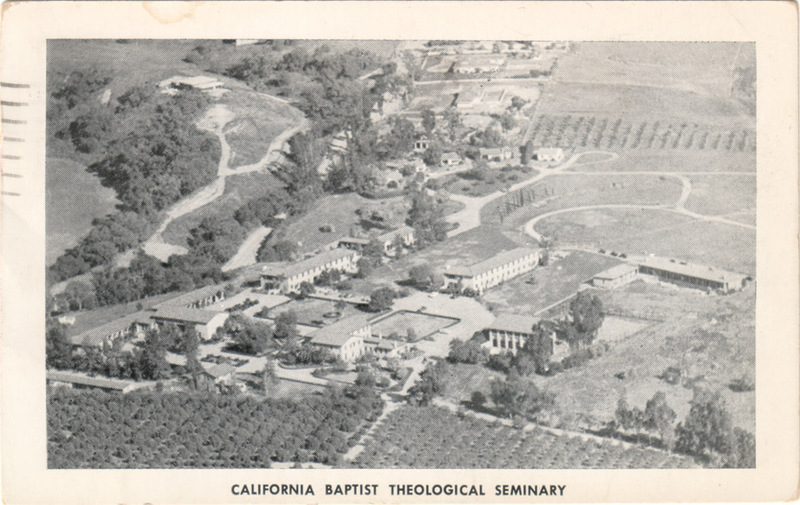 In 1951, the property changed hands again and became the California Baptist Theological Seminary. 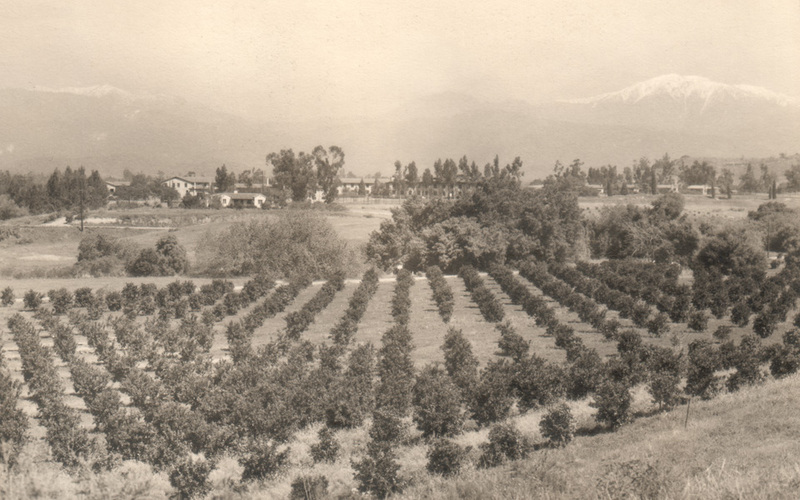 In this aerial view from c.1955, we're looking generally eastward here; the road to the immediate left of the campus is Covina Hills Road. Seminary classrooms (left) and one of the dormitories (right). 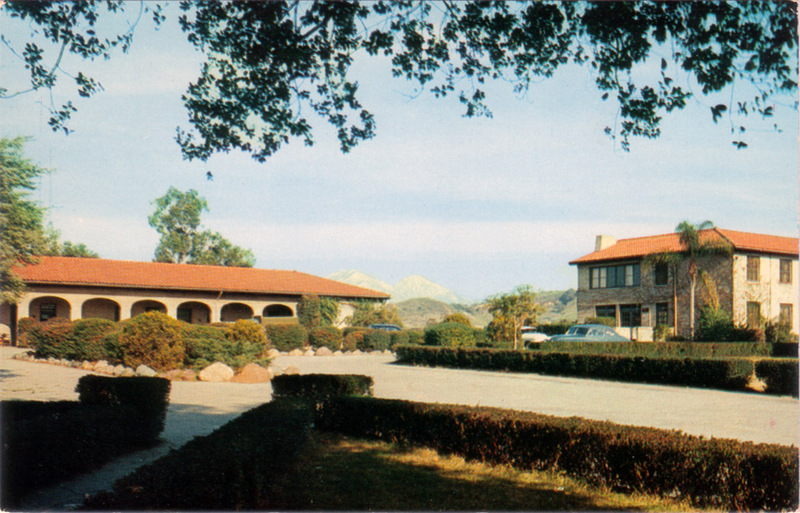 In the early 1960s, that dormitory was also the headquarters of Wally Moon's Baseball Summer Camp. It was the first place I can ever remember sleeping overnight away from home. The 50-year-old complex was finally closed for good in 1974. Starting in 1979, the grounds of the former prep school and seminary were redeveloped for housing and offices, and almost all of the old buildings were demolished. The gymnasium was initially spared and turned into a racquetball and workout facility, but it was finally torn down in 2005. Today, the only campus structure that remains is the Headmaster's house – Casa Mirasol.